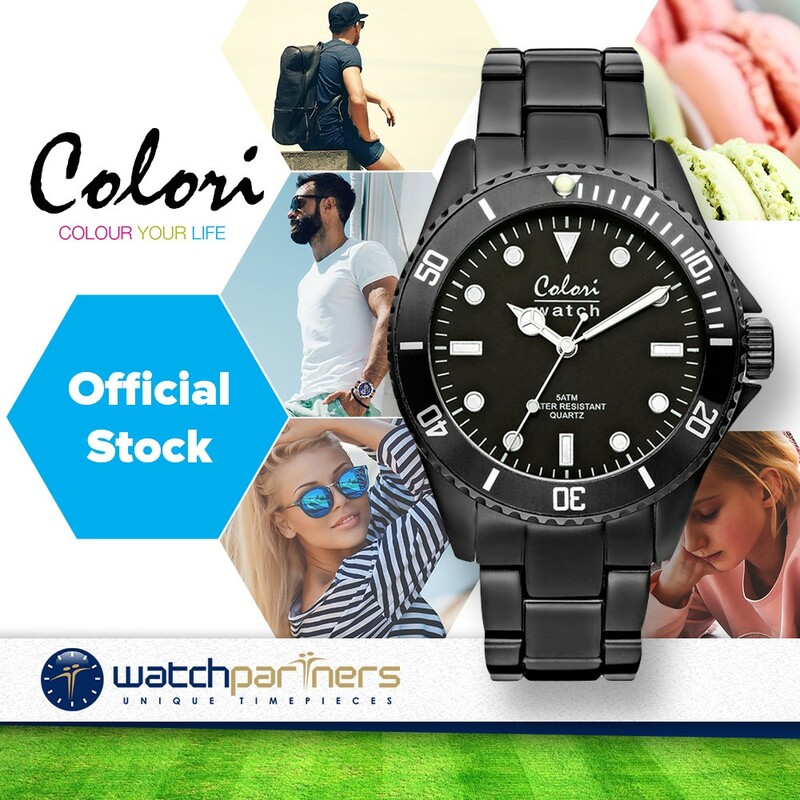 The Colori Aluminium is an exceptionally stylish and affordable timepiece. 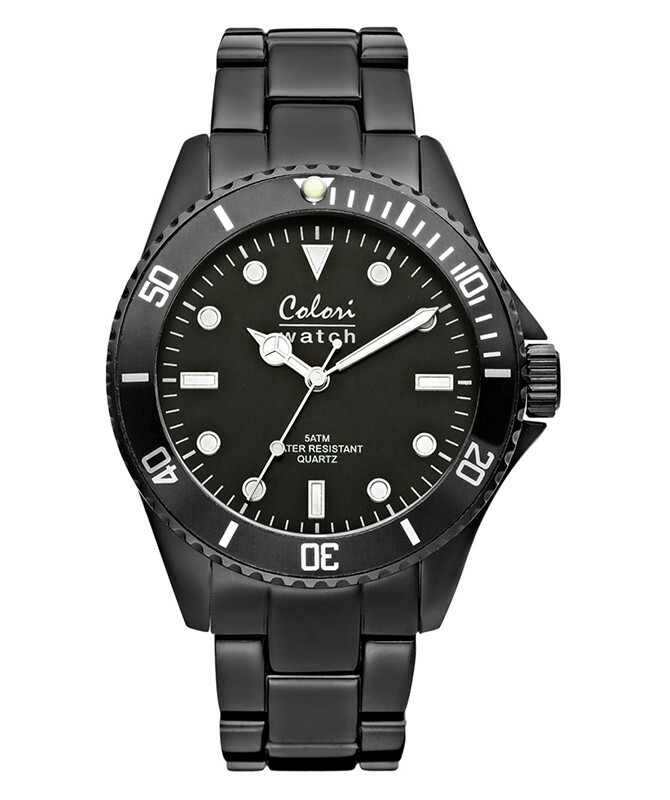 Dimensionally the timepiece has a 40mm sleek black colour aluminum case (and bracelet) that feels super lightweight on to wear. Notable characteristics include a rotating grey bezel, grey dial with luminous white numerals and mineral glass. Powering the watch is a Japanese made Miyota 2035 quartz movement.